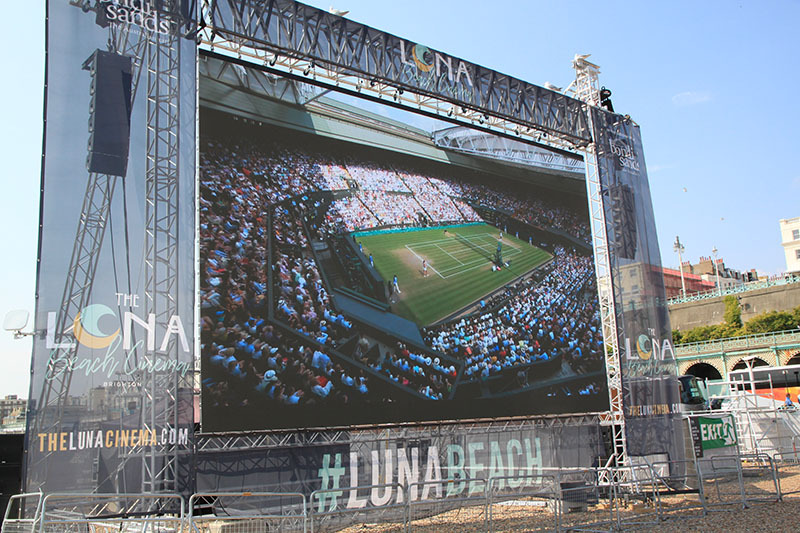 BRIGHTON, U.K. – For six weeks this summer, The Luna Cinema brought FIFA soccer and Wimbledon tennis matches along with movies to a 4,000-capacity open-air theater to Brighton Beach in the U.K., just yards from the sea. 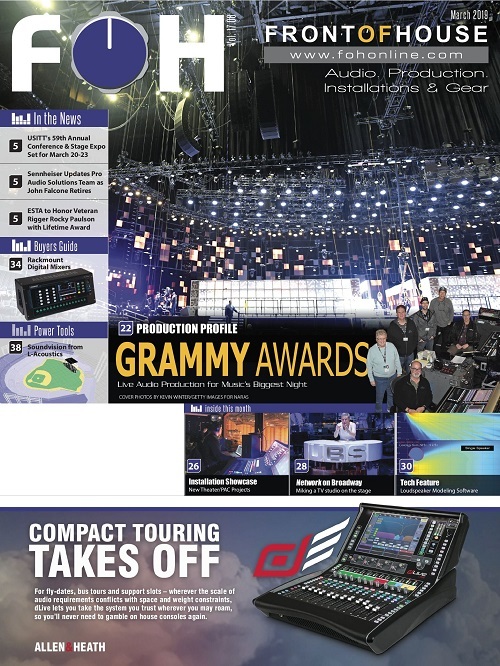 ProLights’ giant OmegaPIX LED video screen was paired with a Nexo system from Orbital Sound that included 12 GEO M10 line array modules, 8 MSUB15 subs and three Nexo NXAMP4x2 amps driven by 8-way Yamaha R Series I/O racks and a Yamaha QL1 digital mixer. The innovative and adventurous outdoor cinema specialists The Luna Cinema have completed their first residency on Brighton Beach, creating the Luna Beach Cinema, a 4,000-capacity open-air movie theatre just yards from the sea. 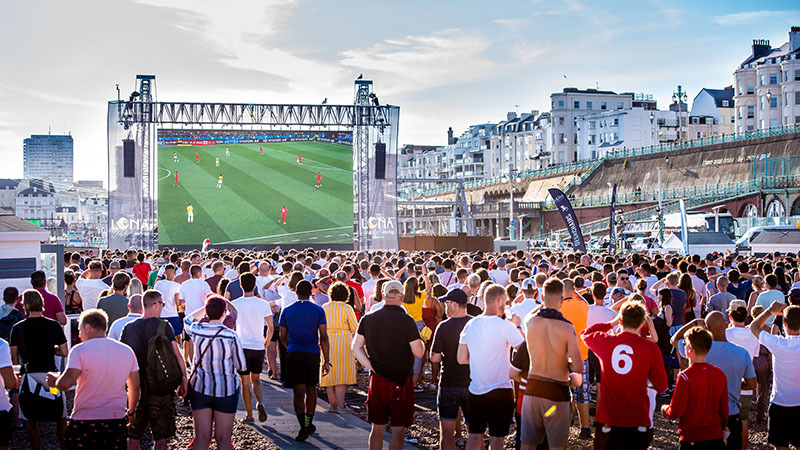 Timed perfectly for the FIFA football World Cup, visitors have enjoyed the performance of a new NEXO GEO M10 line array system, teamed with a new ProLights 10m x 6m LED screen, and the best British summer weather in living memory! 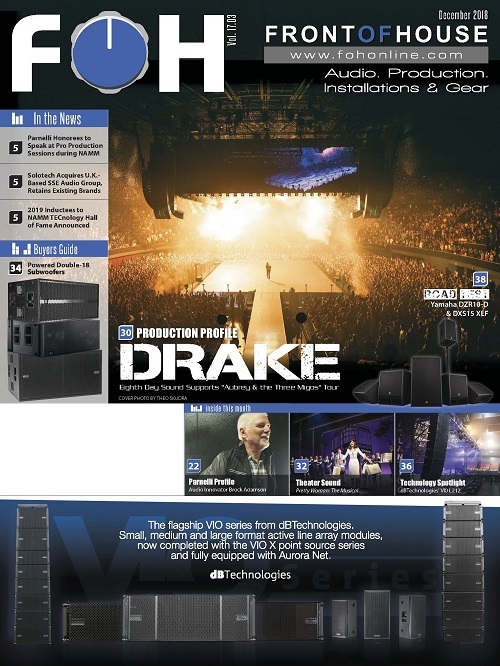 The Luna Cinema operation has been an enthusiastic user of NEXO audio systems since 2015, purchasing a sizeable inventory of GEO M6 compact line arrays for use with the screens that tour some of the most historic and picturesque venues in the UK, from Westminster Abbey to Chatsworth House. 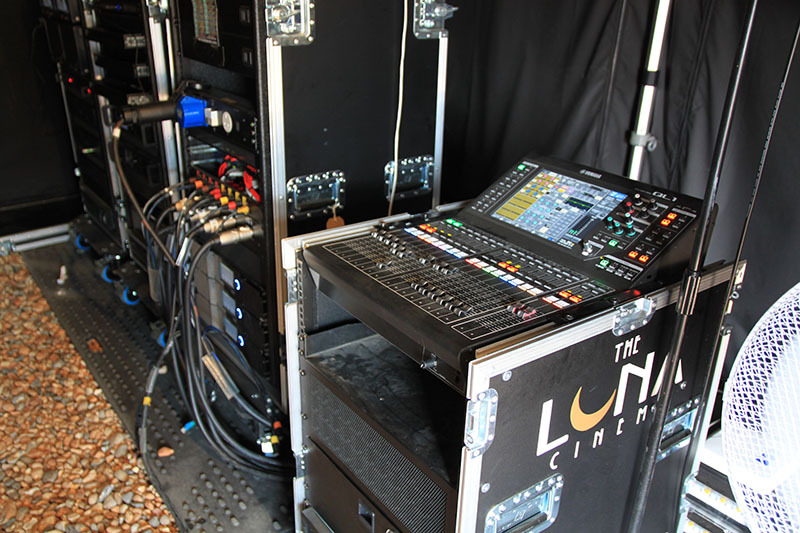 This summer, Luna’s Technical Director Jamie Plummer and Production Manager Tom Barton chose NEXO’s new GEO M10 mid-size array system, with its dedicated subbass cabinets, specifically to service the 6-week Luna Beach Cinema event. 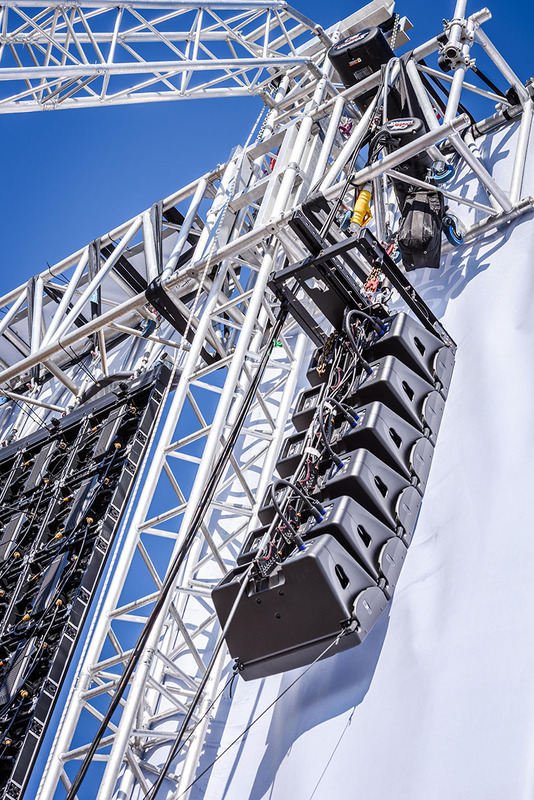 The AV setup drew crowds during the 2018 FIFA World Cup. 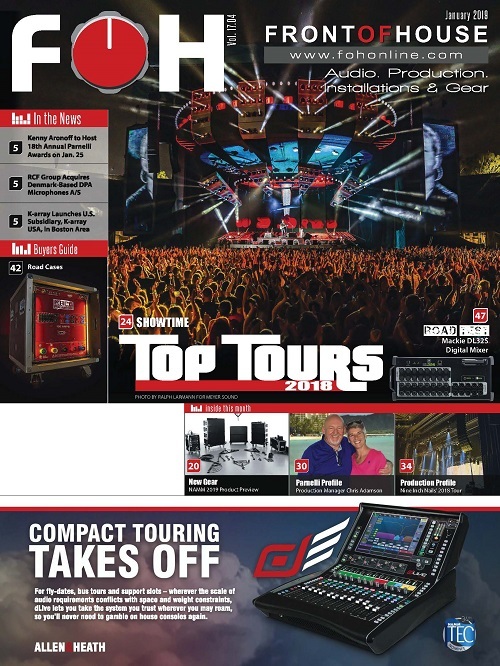 This latest investment in NEXO sound reinforcement includes 12x GEO M10 line array modules and 8x MSUB15 subbass cabinets, together with three of NEXO’s brand-new NXAMP4x2 amplifiers. 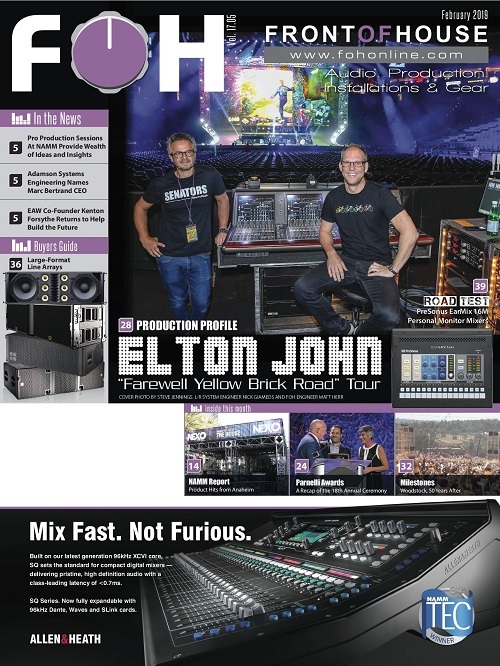 All equipment has been supplied by Orbital Sound, one of NEXO’s main dealers in the UK. The Luna Cinema is one of the first touring users in the UK to embrace NEXO’s new NXAMP4x2 controller-amplifier, with its touchscreen control panel. “That touchscreen is a great addition. There are three NXAMP4x2s running the M10 system; we have control of everything on the touchscreen and its operation is fully intuitive.” Luna’s stock of amplifiers, racked and patched by Orbital Sound, are fully compatible with both GEO M10 and M6 sound systems. 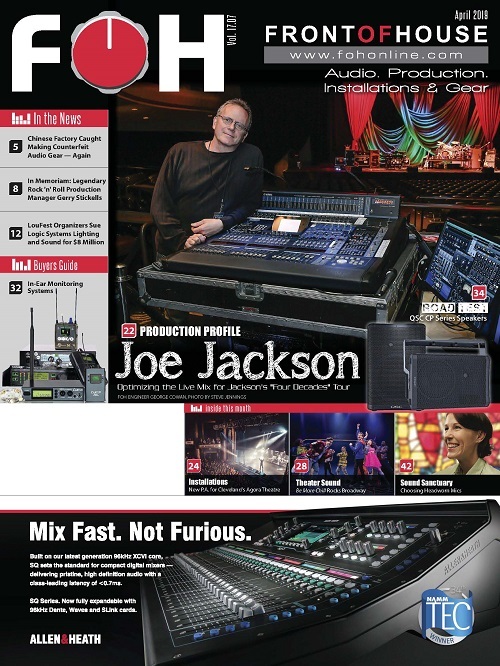 Using 8-way Yamaha R Series I/O racks and a Yamaha QL1 digital mixer, “with everything talking to everything else”, the system is run on a Dante protocol network. The centerpiece of Luna Beach Cinema is another new acquisition, ProLights’ next generation OmegaPIX LED video screen, which is 10m wide by 6m high, delivering a high resolution of 3072pix wide by 1280pix high. The screen was supplied by A.C. Entertainment Technologies Ltd’s (AC-ET) specialist video division. The ProLights screen, bracketed by GEO M10 loudspeaker arrays, made its debut in Kensington Palace Gardens, relaying the coverage of the Royal Wedding to the London crowds. After six weeks of film, football and the Wimbledon tennis championships on Brighton Beach, it takes to the road for a tour around the UK called Luna Kids, showing three films a day in outdoor venues.